HOUGHTON — With an average snowfall of 218 inches, the Houghton / Hancock area makes for the perfect winter playground. Many come to ski and snowmobile in the Keweenaw snow, and for Michigan Tech students, it’s time to build something with it. Students at Michigan Tech returned to campus from the holiday break, and wasted no time digging into a long standing Husky tradition. One by one, each sorority, fraternity, and group of like minded engineering students put their obtained knowledge to the test as they compete in the community wide celebrated snow sculpture build. 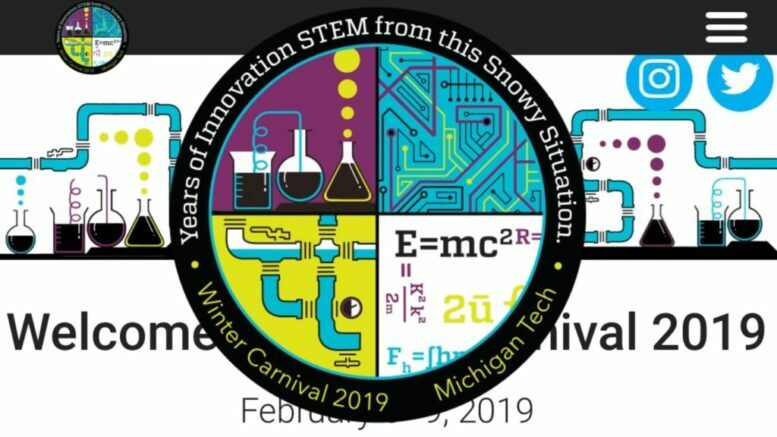 Over the next few weeks, throughout the town of Houghton, students will be working around the clock as they practice their frozen craft of forming their creations using only snow an water as ingredients. Another essential element.. is teamwork. These girls began building their structure a few days ago, and although we will have to wait until it’s complete to see exactly what it is, we’re told it fits into this year’s theme quite nicely. Some of these sculptures reach as high as 30 feet in height, and require scaffolding to build. Both re-positioning of the scaffold, and working on a wobbly structure require a lot of collaboration and serve as a team building experience. For the girls at Delta Phi Epsilon Winter Carnival is about much more than just playing in the snow, they collaborate an annual fund raising event as well. After the shift is over its back to the sorority house for warming up. Other pre-Carnival activities taking place on campus include Broomball practices, and games with winter volleyball and curling competitions set to take place next weekend. A full list of events can be found at www.mtu.edu.